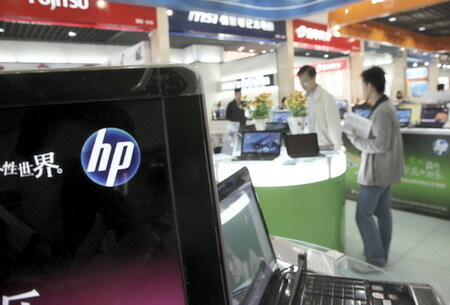 BEIJING - China slashed its import tariff on some electronic products, such as laptops and digital cameras, by 50 percent, benefiting multinational companies, including Hewlett-Packard Co (HP) and Dell Inc, and stimulating their sales in the world's fastest-growing IT market. According to a statement posted on the Ministry of Finance's website on Thursday, the import tariff on computers, digital video recorders and cameras will fall from 20 percent to 10 percent starting Jan 27. "The Chinese government is fulfilling its promise to the WTO," said Wang Jiping, research manager at International Data Corporation (IDC) China, an IT research company. During his visit to the United States last week, President Hu Jintao worked for closer bilateral ties between China and the US to stimulate global economic recovery. The duty concessions may help overseas companies gain a better pricing advantage in the Chinese market. According to Bloomberg, the lower tariff may "narrow the lead held by domestic leaders such as Lenovo Group Ltd" because the US computer makers, including Hewlett-Packard and Dell, have struggled to boost their market share in China against Lenovo, the local industry leader. Wang, however, doesn't fully agree with that point. "Chinese consumers stand to benefit the most. The market will be stirred but the reduction won't change the market share significantly," Wang said. According to IDC, Lenovo led the Chinese PC market with a market share of 28.8 percent in the third quarter 2010, compared with Dell's 10 percent and HP's 9.2 percent. HP and Dell declined to comment on this issue. Chinese media recently highlighted that the import tariff on the iPad was set at 1,000 yuan ($152). A 16-gigabyte iPad with the import tariff was about $150 more expensive in China than the United States. Now, the duty on an iPad will be reduced from 1,000 yuan to 500 yuan. The change will permit distributors and dealers to make their prices similar to those overseas, removing an incentive for consumers to buy their digital devices elsewhere, Wang said. Before that, many consumers from the Chinese mainland went to Hong Kong and the US to purchase electronic products.